Could a drugstore supplement be the key to slowing breast cancer tumor growth? Melatonin may be just what the doctor may order for breast cancer patients. A new study found that melatonin may be able to delay the growth of breast cancer tumors. It may also block the formation of new blood vessels in patients with ER-negative breast cancer. 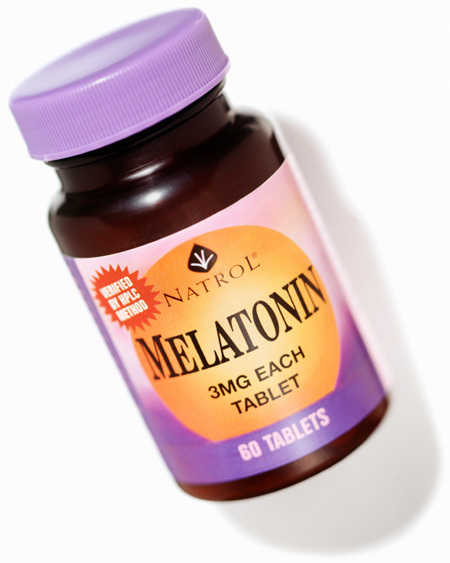 Melatonin is a hormone that regulates our sleep and waking cycles. It is also available as a supplement in drug stores. The hormone’s suspected properties as an antioxidant mean it could suppress some cancer cells — especially when other drugs are added into the mix, the American Cancer Society says. Adarsh Shankar, a research assistant in the Department of Radiology at Henry Ford Hospital said that the early-stage results with melatonin have not been seen anywhere else. One of the strategies researchers are exploring to inhibit cancer progression involves controlling the formation of new blood vessels, which is known as angiogenesis. After a tumor gets over a few millimeters in diameter, the lack of oxygen triggers a cascade of events that produce more blood vessels, thus letting the tumor advance. Knowing this, the researchers assessed how melatonin worked on angiogenesis in ER-negative breast cancer in vitro and in vivo using cell and mouse models, respectively. They found that the mice treated showed smaller tumors after 21 days, and did not lose weight or become lethargic. Additionally, they noted less vascular growth in the tumors of the treated group. Those results were also simulated in cell models. The study showed that melatonin delivered at a pharmacologic concentration lowered ER-negative breast cancer cell viability in vitro. The study, published in PLoS One, was conducted by researchers at the Henry Ford Hospital in Detroit and the Foundation for Research Support of the State of São Paulo. In other recent news, scientists at Cardiff University in Cardiff, Wales, are developing a compound that targets the Bcl3 protein. This protein has been known to play a role in metastasis, a process that involves how cancer spreads. When the researchers suppressed the Bcl3 gene in mice, the spread of cancer was curbed by more than 80 percent. Even more hope for breast cancer patients: A new National Cancer Institute study of 200 breast cancer survivors found that those who took a 90-minute hatha yoga class twice a week for 12 weeks experienced lower fatigue and inflammation. Hatha yoga is a gentle form of yoga — nothing like bikram, or hot, yoga. The study, which was recently published in the Journal of Clinical Oncology found that the yoga buffs said they were about 50 percent less fatigued than those in a control group. The yogis also had 20 percent lower levels of three proteins that are markers for inflammation. The proteins are known to cause fatigue, headaches and general malaise.